Improving online customers support and reservation numbers. Paldesk as a new channel of communication. 47% more leads thanks to a new channel of communication. 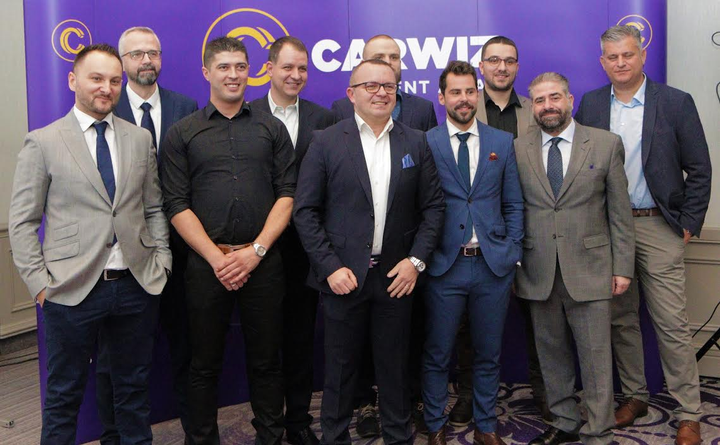 The youngest car rental in Croatia, Carwiz is also the first to start a franchise business outside of Croatia. Its ambitious three-year plans is to appear at least twenty markets in different parts of Europe, Africa, and Asia. How did live chat improve customer support efforts? More than 10 support agents are manning their respective customer support stations with nearly all of them answering live chat inquiries throughout the day. This enabled several alternative types of communication over traditional methods such as email. It also helped customers get more details on their reservation, explore additional information. This made following up over the phone that much easier. “Paldesk was something new to use, we did not know what to expect. It turned out the customers did not have any problems with the new addition – they started pouring in from day one. Paldesk is now the first channel of communication!”- said Paola Kelec, Marketing Coordinator. Handling a high volume of online customers properly, agents need tools that allow for multiple clients to be helped at the same time. Core feature they’re using: Predefined Answers. It allows an agent to type “#” and answer he is looking for and he gets a full answer for a specific inquiry. Carwiz agents are using to pull up stored responses to allow time efficiency and accurate answers. With this feature, they have more time for the sales approach and nurturing their customers. Handling as many as 400 chats every day, live chat became their most important online reservations channel. At times, there are as many as 12 clients communicating with sales agents simultaneously. Their favorite feature: Agent group. Used to separate different departments in the automotive industry like pre-sales, customer support, post-sales, repairs, loans. It’s very important to have a focus on resolving the problem or closing deal by chat. Each department has its own team and agent group so everybody specifically offering the right service for their clients. As a result, Carwiz rent is offering great customer support, and online sales are one of the most important business elements in this competitive industry.